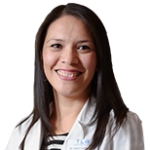 Dr. Nancy Guzman is the Clinical Director for TLC Laser Eye Centers in San Antonio. Dr. Guzman earned her Bachelors of Biology from the University of Texas at San Antonio and her Doctor of Optometry from Indiana University School of Optometry. Before joining TLC, Dr. Guzman was in private practice where she provided comprehensive visual care, including pre and post op care for Lasik and cataract surgery, as well as diagnosis and management of ocular disease. Dr. Guzman is a member of the American Optometric Association as well as the Texas Optometric Association, and is the current secretary of the Bexar County Optometric Society.